Finally, the Federal Government (FG) has released a comprehensive list of the missing students with the names and other details of the 110 girls, following the attack and their abduction at the Government Girls Science and Technical College (GGSTC), Dapchi, Yobe State, on 19 February, 2018, reports ITRealms. The SA Media to Hon. 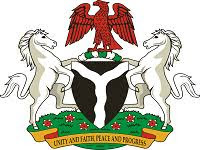 Minister of Information and Culture, Segun Adeyemi, who affirmed this to ITRealms, said the list, which was handed over to the Minister by the Yobe State Government, contains the name, age and class of each of the 110 students. “Out of the 110 missing girls, 8 are in JSS1, 17 in JSS2, 12 in JSS3, 40 in SS1, 19 in SS2 and 14 in SS3. The girls' ages range from 11 to 19 years,” he said. In addition, he said, the list, which contained the contact address and phone numbers of each missing girl, was verified by a 26-member Screening Committee that includes the Executive Secretary, State Teaching Service Board, Musa Abdulsalam; Director, Schools' Management, Ministry of Education, Shuaibu Bulama; Principal of GGSTC, Adama Abdulkarim; the two Vice Principals, Ali Musa Mabu and Abdullahi Sule Lampo; Admission Officer, Bashir Ali Yerima, and the Form Masters for all the classes. Meanwhile, the Chief of Air Staff, Air Marshal Sadique Abubakar, on Tuesday relocated to Yobe State to personally superintend the search for the girls. The Nigerian Air Force (NAF) had earlier deployed more platforms to the North-east for the search, as the security agencies ramp up their efforts to locate and rescue the girls.